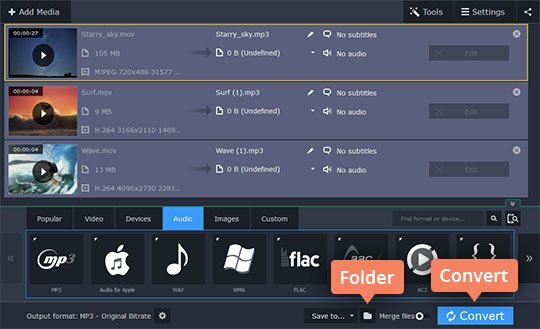 Looking for a way to convert MOV to MP3? Developed for QuickTime Player, MOV is widely used by Mac owners. However, not all platforms and devices support the format. What if yours doesn’t – and all you need is a soundtrack from a movie that’s trapped inside an MOV file? Just change MOV to MP3 using a special program. Below, we’ll describe three different ways to do that. 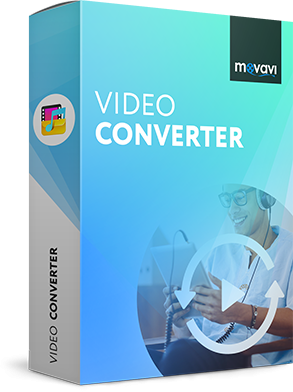 The Movavi converter lets you easily extract audio from video and do almost instant conversion between 180+ different media formats. 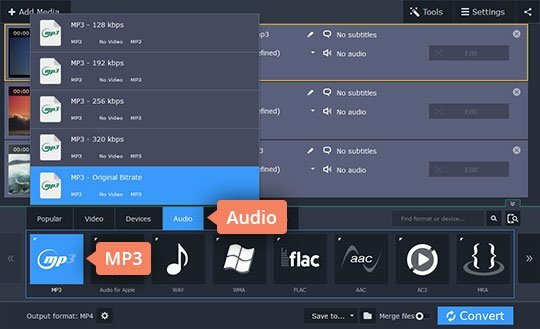 Download Movavi Video Converter for Windows or Mac and convert your MOV files to MP3 in no time. Double-click the distribution file and follow the instructions on your computer screen. Click Add Media and then Add Video. 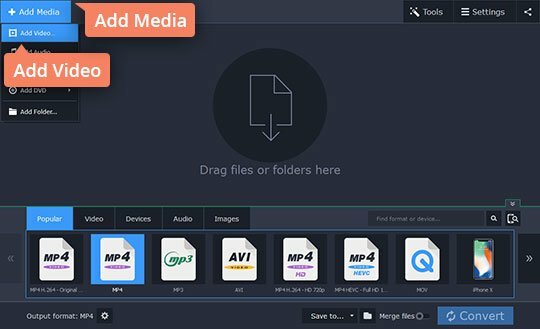 Find the MOV files you want to convert and add them to the application. You can also simply drag them into the app window. Open the Audio tab and choose the MP3 group. Pick the preset with the appropriate bitrate value for your requirements. Click the Folder icon next to the Save to field and specify the folder in which you want to save your output files. Click Convert. Yes, it’s that simple! You can also use a freeware program like VLC Media Player as a MOV converter. First, you need to download this app and run it. Click the Media button in the menu on the left and choose Convert / Save. Add the DVDs for conversion by clicking Add in the opened dialog box and hit Convert / Save below. A new window will open, where you can make final arrangements. Select MP3 as the output format in the Profile field. Click Browse and pick a destination folder and enter a name for your file. Finally, hit Start to transfer MOV to MP3. 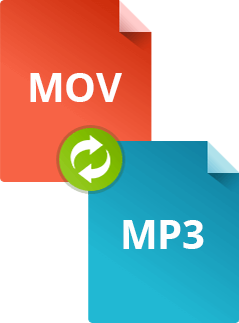 You can also convert MOV to MP3 online using a service like videoconverter.com. Go to https://videoconverter.com and upload the MOV file by clicking Add Your File. Next, choose MP3 as the output format and click Convert. Wait until the conversion process is finished. Then click the Download button to save the video to your hard drive. Note that the service only lets you convert one file at a time, and the file must be no larger than 100 MB.